Doug’s teaching approach is relaxed and compassionate, while maintaining structure and high standards for his students. He challenges them to think critically about music and foster a unique voice in the process. Doug’s diverse musical spectrum allows him to relate to students across styles and genres, as he encourages each student to broaden their musical vocabulary. Doug began his piano study with a classical approach. By high school, he started exploring jazz and improvisation, performing with other like-minded talented young Chicago musicians. 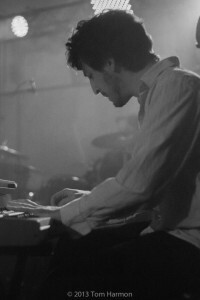 Doug currently performs around Chicago with jazz, funk, and rock groups. He has played many notable Chicago venues, including Double Door, Mayne Stage, and Martyrs. Doug is especially excited to work with Piano Power and to help his students enhance their love of music.